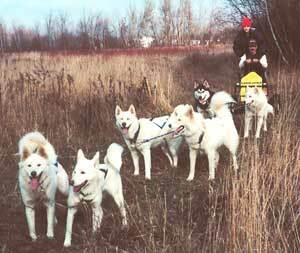 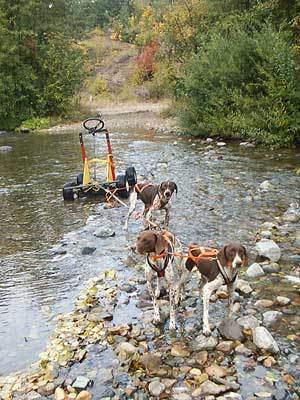 Daniel doing some training with dad's Sand Fox and four siberians near the Tri- Cities, Washington. 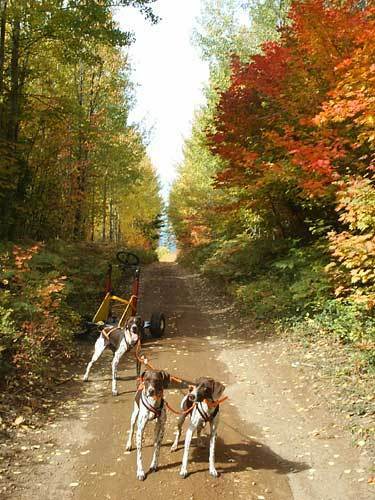 This was a special cart for Angelo Suriano, a parapeligic musher in upstate New York.He's working on getting his qualifiers done for the Iditarod. 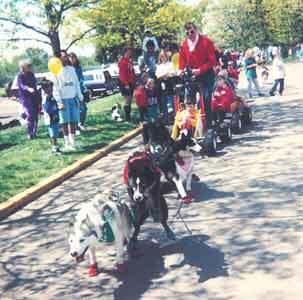 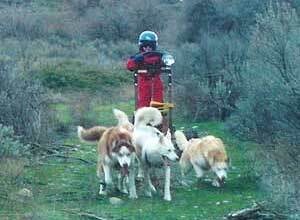 If you know of a physically challenged musher that needs a cart, please contact us. 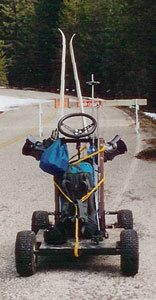 David Lowry's Sand Fox loaded with skijoring gear spring 2003- heading up a closed road in search of more consistant snow coverage in the central Cascades. 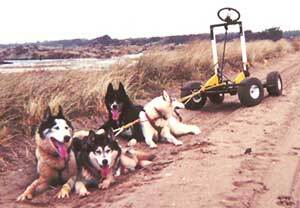 Sand Fox folding cart on the dunes. 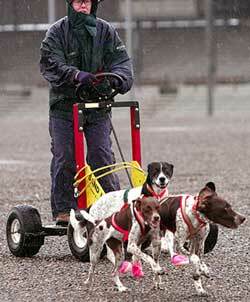 Jim giving rides with Sand Lynx cart and Cheesay wagon at an OSU vet school open house.